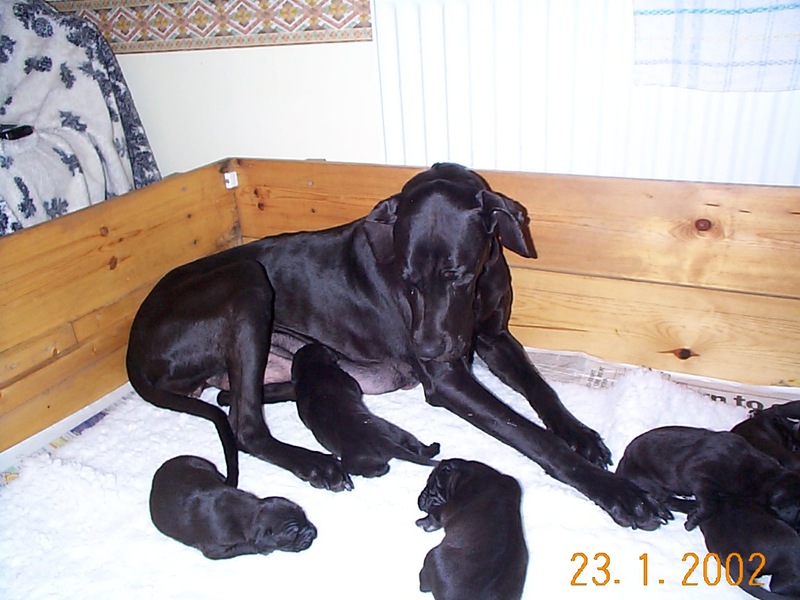 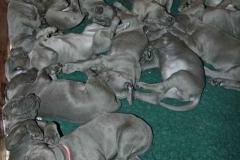 Welcome to the website of Danemoor Great Danes. 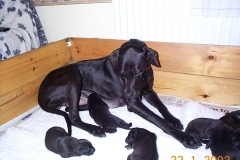 Based in Cheshire Phil & Olivia Bates have been showing and breeding Great Danes since returning from New Zealand in 1979. 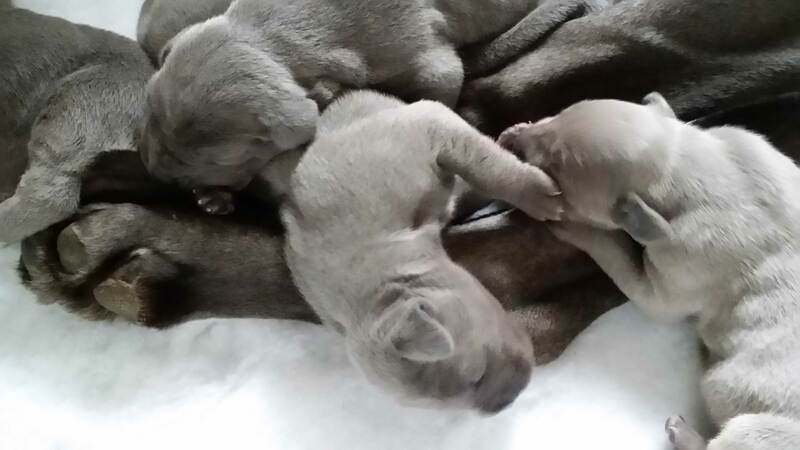 Our first litter born 1985 was out of Dorneywood Lucretia by Ch Devarro Direct Descendent and we were fortunate enough to produce a champion in this litter, Ch Danemoor the Persian Boy and “Darius” features in our current lines. 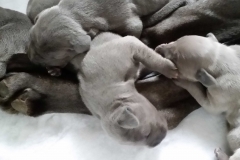 We are registered with the Kennel Club’s Assured Breeder Scheme and we are participating in the research into Dilated Cardiomyopathy (DCM) currently be carried out by the University of Liverpool Small Animal Teaching Hospital. 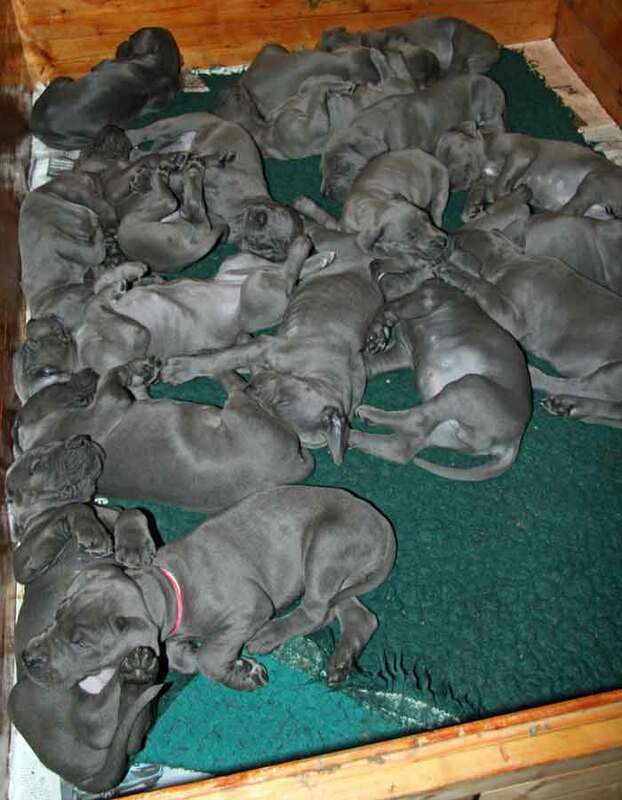 Currently we are only breeding blues & blacks and occasionally have puppies available to genuine loving forever homes.